Makenzie had a rehab appointment on Monday at Children's Hospital. It was a GREAT appointment. The doctor took Makenzie off all of her pharmacy drugs! No more nasty side effects! Praise God! Her doctor was also very impressed with her overall improvment! She was most impressed with the fact that her agitation was gone. She said that was HUGE! She is also very supportive of the hyperbaric chamber and supplements. I can't wait to get her back in the chamber. We are still raising money to buy our own so that we don't have to leave CO and all of our family ,friends, and therapists. Feeding is really the olny source of concern right now. Makenzie is 18lbs and has been for 6 months now. The doctor wants to run some blood tests to find out if there is any medical reason she is not gaining weight. We started calorie loading her food and hopfully that will help. 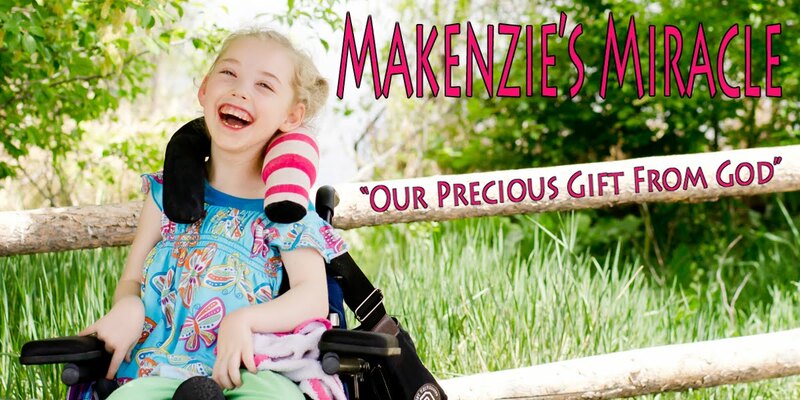 Makenzie is making WONDERFUL progress! God has blessed in ways we never thought possible. Keep praying for Makenzie as her road to healing is still long. Pray that she gains some weight and has more energy to heal. Thank You all for your love and support.